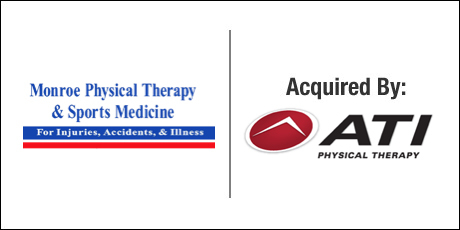 The Buyer: ATI Physical Therapy (www.atipt.com) has over 300 physical therapy clinics in ten states. ATI provides patient care based on its founding principle of aggressive rehabilitation through strength training and conditioning. This has led to their development of several new and superior treatment protocols and techniques. The Seller: Monroe Physical Therapy (www.asapt.org) has six locations throughout the Southern Illinois / St. Louis Metro East area. Each facility blends physical therapy, fitness, and wellness into a single location by offering a range of physical therapy, athletic training, and fitness services. The staff of Monroe Physical Therapy places complete fitness at the core of treating injuries, accidents, and illnesses. The Close: DVS was retained by the owner of Monroe Physical Therapy to run a process for the sale of his clinics. The market for multi-clinic physical therapy businesses was undergoing consolidation, and the seller wanted to take advantage of the opportunity to join a like-minded strategic partner. After interviews and negotiations between 2 other private-equity-owned clinics and 1 hospital system, management decided that ATI’s offer represented the best opportunity for success. DVS assisted with all negotiations, including a late structural change to the deal that resulted in a significant tax benefit, future employment terms for the seller, and keeping the transaction on a feasible timeline.